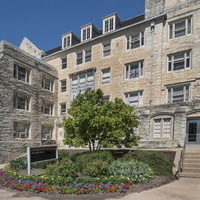 Adams Hall is home to the NIU Graduate School, Student Support Services, and Testing Services. It was very nice great soups for a great cause. I am hoping you will be able to order more t-shirts (black and white). Wish you would of done the raffle at 5 pm and every 15 mins after would of been fun. I bought tickets but had to leave at 5:30 pm so I had no chance to win. Other than that it was great! Empty Bowls was just great! The bowls are beautiful, the soup was delicious. I met and shared a meal with a lovely NIU undergrad. Simply wonderful all around. Good work to all involved!